In this book, W. Paul Jones, a former social activist and noted theologian, shares the intimate record of his journey toward monastic life. He describes the anguish of facing his own inner demons, the glimmers of spiritual insight along the way, and both the terror and the exhilarating freedom that come with profound solitude. For all those who have suffered the pain of rejection and self-doubt in their lives, this book will come as a gentle invitation to deeper peace, and a welcome vision of hope. - Publisher W. Paul Jones was in the prime of a successful academic career when he felt the call to embrace solitude by becoming a hermit in the Ozark Hills. In this candid journal, Jones recounts his journey toward emotional healing and the joy of "being" rather than "doing." 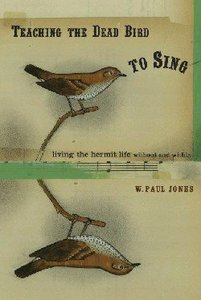 About "Teaching the Dead Bird to Sing"
W. Paul Jones was in the prime of a successful academic career when he felt the call to embrace solitude by becoming a hermit in the Ozark Hills. In this candid journal, Jones recounts his journey toward emotional healing and the joy of "being" rather than "doing." W. Paul Jones is a Roman Catholic priest, a Trappist brother at Assumption Abbey in the Ozarks, and founding spiritual director of the Hermitage Spiritual Retreat Center. His books include The Art of Spiritual Direction: Giving and Receiving Spiritual Guidance and A Table in the Desert: Making Space Holy.